Because I focused so much on my TBR last year, I ended up with a teetering stack of review copies. My goal now is to clear most of them out by the summer. These are three middle grade books that have come out recently. 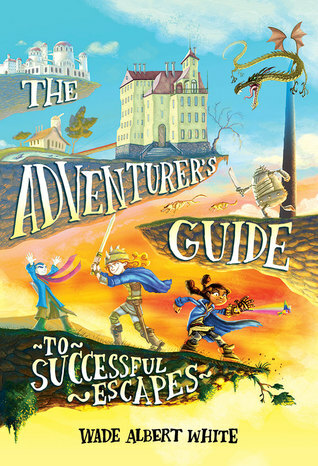 First up is the delightful The Adventurer's Guide to Successful Escapes by Wade Albert White. It's the story of Anne, an orphan who sets out on an unexpected but apparently fated quest to find out what exactly she is the rightful heir to/of. With a girl of color as the main protagonist (woot! 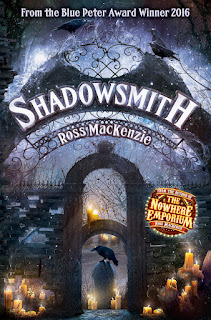 ), this story also has a surprising mix of fantasy and science fiction elements that all come together to create a dangerous but exciting world. Two of the three main kiddos are girls and most of the adults (and the dragon) are female as well, which was refreshing. This is the first in a new series but it wraps up nicely enough to be a standalone. 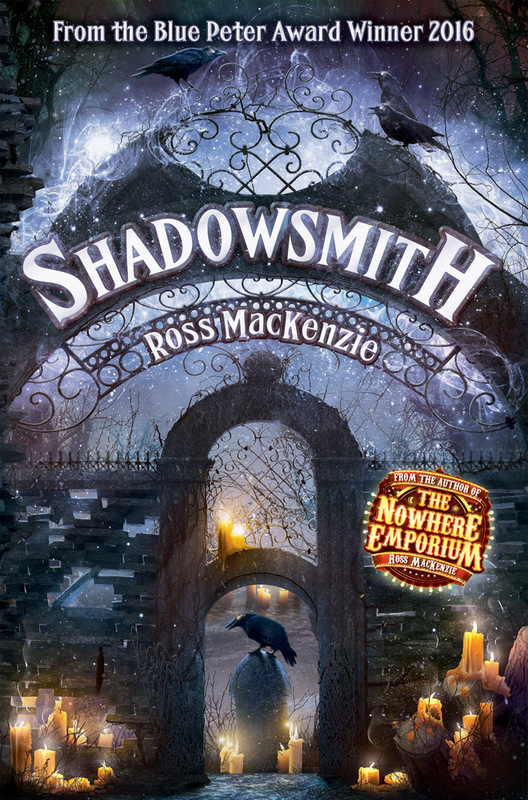 Next is Shadowsmith by Ross MacKenzie, the story of Kirby, a Scottish boy whose mom is in a coma after a freak accident. He soon starts to have a sneaking suspicion that the spiders he keeps seeing are actually watching him and then a girl named Amelia shows up and says that this is exactly what is happening. That's the least of Kirby's problems though because things quickly escalate and he must fight a host of creatures to save his world and his mom. This story was dark and frightening, even for me. It's definitely for older middle school kids who love to be scared. The peril was realistic but so were the relationships between Kirby and his dad and Kirby and Amelia which made it well-worth reading, even if I had to stick to reading it during daylight hours! 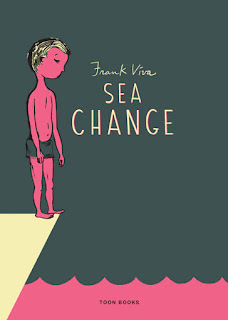 Finally, I read Sea Change by Frank Viva. This one is an illustrated short novel about Eliot, a boy who gets sent from his Canadian home out to a fishing village in Nova Scotia to spend the summer with his great uncle. He thinks he is being sent to the worst place imaginable but instead finds that there are many things that make Point Aconi special. Life isn't perfect there but it becomes the place where Eliot grows up and learns about life. Viva himself spent summers in Point Aconi as a boy and his love for the place and its quirky people really comes through. One warning though, there is an abusive father in the story, which could be a hard topic for some young readers. Sea Change sounds good! I really want to go to Nova Scotia one day -- I'd love to see it from a kid's perspective. Oh, this will totally stoke your desire to go to Nova Scotia!